The recent experience of neighbouring states suggests that Russia’s rulers will struggle to control future political developments. Make no mistake: revolution of one kind or another is already under way, argues Gela Vasadze. The question of whether or not a revolution is possible in Russia has been doing the rounds for several weeks now. 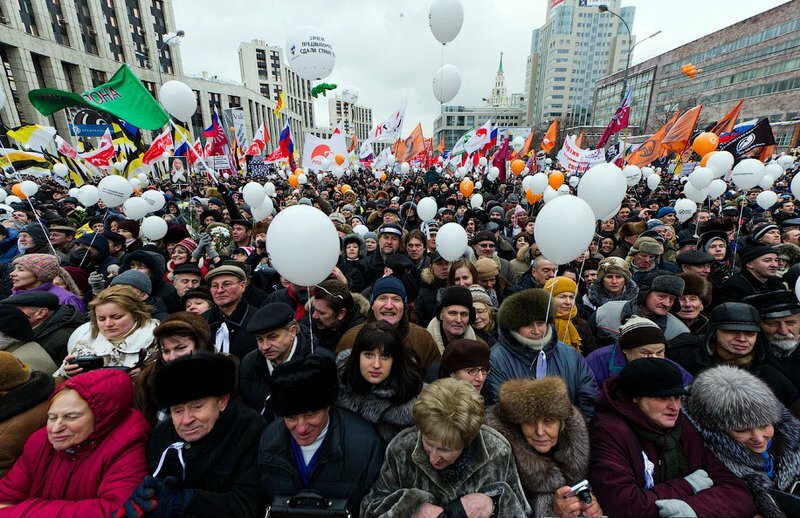 Risking the wrath of experts no doubt much better qualified on the issue, I'd like to share with readers my own personal view — that revolution in Russia is not only possible, but well under way and irreversible. Of course, if by revolution you mean the process of storming government buildings and the violent overthrow of governments, then no, this is not happening, nor could it be happening. But radical changes in the composition of Russian society are already evident – at least that is what it seems to those looking in from outside. In other words, we should be talking less about the possibility of revolution, and more about its causes and how it will develop in the future. Writing in The origins of Russian Communism, Nikolai Berdyaev identified five stages in Russian history: i) Kiev Rus, ii) Russia during the Tatar yoke, iii) the Muscovite period, iv) Russia under Peter the Great and Imperial Russia, and, finally, v) new Soviet Russia. In earlier periods, the country was much more closely connected to the European mainstream. While Kiev Rus' should certainly be considered a precursor of the modern Russian state (or the modern Ukrainian, Belarusian state for that matter), it was also a strong and organic part of European civilisation. The same can even be said of the period of the Tatar yoke: while under the strong military and political influence of a foreign culture, the country was also clearly defined by European culture. The break from the European historical mainstream happens only under Ivan the Terrible, who by conquering the Kazan and Siberian khanates, created a force to take over huge territories once under Genghis Khan, and form a national state. Right from the appearance of this antithesis of European civilisation, Russia's best and brightest have battled to return the country into Europe's womb. 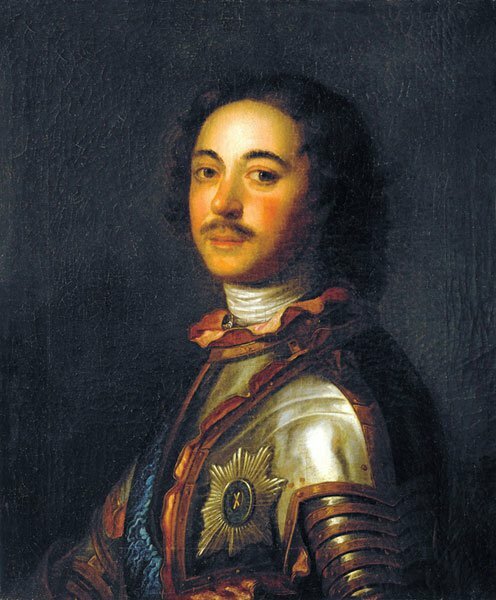 Practically for the entire intervening period, Russian history has been characterised by an attempt to return and recover that previous European state, either by means of Westernisation (Aleksey Mikhailovich, Peter the Great, Alexander II, Stolypin, Lenin), or even by the creation of a native model based in part on European ideas (Nikolai I, Stalin). Modern Russia's central dilemma has been the task of adapting the European civilisational model to Russian reality. To their credit, this is something that practically all the nation's recent leaders have understood. The politics of Gorbachev, Yeltsin and the early Putin were all in their essence directed towards 'Westernising' the country. Gorbachev, however, became hostage to old ideological baggage, and could not avoid being himself devoured in the disintegration of the Communist system and dismantling of the Soviet Empire. Terrified of repeating the Gorbachev fiasco, neither Yeltsin nor Putin dared to embrace the main condition of Europeanisation, i.e. allow the necessary fragmentation of the country. Fragmentation is not, we should stress, a synonym of collapse. More often indeed the opposite is true: transferring authority away from the centre strengthens the whole, while rejecting natural fragmentation leads to collapse of the wider country. What is important here is not regionalismper se but the growth of institutes of local government. It is precisely these institutes that support a balance between centre and periphery, extinguishing the flame of separatism among the elites. Democratic states, moreover, can only feasibly unify complimentary nations. The majority of national subjects in the North Caucasus would, for example, be unlikely to voluntarily agree to exist in within a unified Russian nation. And there is no tragedy to read here: these nations have their own path and destinies. History tells us much about how post-imperial change should be managed. On exiting their respective colonies, the British and the Spanish prepared friendly elites. Today, practically the whole of Latin America looks to Spain as a parent, while the British Commonwealth remains one of the strongest in the world. The Portuguese and French, on the other hand, dug their feet in and paid for it: the former experienced a military coup after Portuguese soldiers got fed up of dying in the jungles; the latter experienced one of the most serious crises in its history. Any direct comparison has its flaws, but I'm prepared to risk a bet that greater regionalism and local government in Russia would greatly reduce the risk of the country disintegrating. To return to the subject of Russia's current revolutionary situation, I believe the experience of other post-Soviet states that have gone through similar periods of transformation can be helpful. Certainly, it allows us to sketch out an approximate scheme of the way transformation comes about. There are, as far as I see it, three discernible phases. The first stage is the dismantling of the old paradigm, a phase that is generally accompanied by a period of ethnic mobilisation. By old paradigm we mean the command-and-control, rigid, centralised system of state power, the limited degree of economic freedom, along with several other distinguishing features of the late Soviet regime. The second period is a period of stabilisation: the dismantling of any consolidated regime is such a painful thing that society needs to settle itself before it can continue moving forward. The third phase is the formation of a political nation and a contemporary national state. An important thing to note here is that 'political nation' has nothing to do with tribalism or even the ethnic nation; similarly, stabilisation does not mean stagnation — this period in fact nurtures the very forces that mature to lead the next phase of transformation. Rose Revolution in Georgia and Orange Revolution in Ukraine.These revolutions were quite different from one another: the former arguably moved Georgia towards the formation of a modern state, while the latter only dismantled the legacies of the Soviet regime in Ukraine. Let us begin with the example of my native Georgia. Here the first stage — the dismantling of the system — happened very quickly and was therefore particularly painful. The fact that it was also accompanied with a period of ethnic mobilisation added to the problems. The end point of that period was a civil war and then the twelve years of stabilisation under Eduard Shevardnadze. The next phase — the formation of a political nation and a modern nation state — began in November 2003. Other post-Soviet states offer variations on the theme. In Armenia, under the presidency of Levon Ter-Petrossian, the old system was dismantled in a slower and less painful fashion. A period of stabilisation set in 1998 and continues to this day. In Ukraine, notwithstanding the development of civil institutes, the country actually continued with parts of the old paradigm right up to 2004. Victor Yuschenko's time in office dismantled that regime fully — and the process was almost painless, since it was an evolutionary one, starting back in 1991. Ukraine's phase of stabilisation began with the presidency of Viktor Yanukovych. As regards Belarus, I will leave final judgement to the reader, but one can certainly argue that the dismantling of the old regime took place under Shushkevich, and that Lukashenka, in turn, represents the stabilising President. As regards the other post-Soviet republics, we might talk about a conservation of the old paradigm, with some efforts to make the system an effective one within the bounds of this very paradigm. Returning to Russia, it is clear to me that dismantling of the old system (or at least vast parts of it) took place in the period of Yeltsin's presidency. It was no accident that these times soon acquired the epithet of 'the wild nineties'. The traumatic shock of society was so great that it was inevitable that the pendulum would swing in the other direction. And the issue here is not at all the appearance of Vladimir Putin, who in fact tried to be a progressive leader in the first years of his government. As much as e.g. the Illiarionovs and Kudrins of that government may have tried to enact change, this was not a time for reform: Putin's government represented for Russia the period of stabilisation and reform in this context was impossible. The problem of course for Putin and his team is that a period of stabilisation will over time return the country towards the old paradigm. And as the old paradigm acts as a break on the country — however well-intentioned the motives of its leaders may be — change is inevitable. The flawed elections to the State Duma in December convinced a majority of Russians that change was unachievable through electoral mechanisms. On the other hand, today's age of social networks and the mobile Internet means that any idea can be distributed in nanoseconds. During the Iranian revolution it took many years of sending cassette tapes of Ayatollah Khomeini to Iran to bring millions onto the streets of Tehran and overthrow the Shah; in Georgia and Ukraine it took many months of work by independent TV channels to make people understand that time was ripe for change. Today, people can make their own conclusions and express their own position in real time, and their access to information is almost unlimited. Moscow has been the centre of Russia's protest movement - the last event gathered 70-100,000 protestors. The next protest is planned for 4 February. Does this mean that these people with go and seize the Kremlin tomorrow? Of course not. Such a move would be counter-productive and, besides, they simply don't have the wherewithal to do it. On the other hand, revolution is a process — one that takes place more in people's minds than on the Squares and streets. 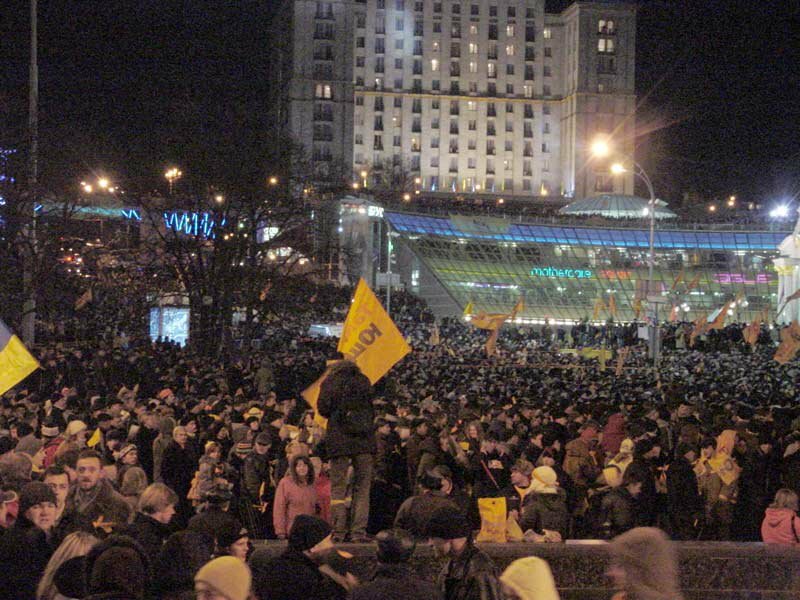 In Georgia, this revolution took place not in November 2003, but in November 2001, when angry citizens assembled near Parliament to protest about the intimidation of the tax police at the independent Rustavi II TV Station. 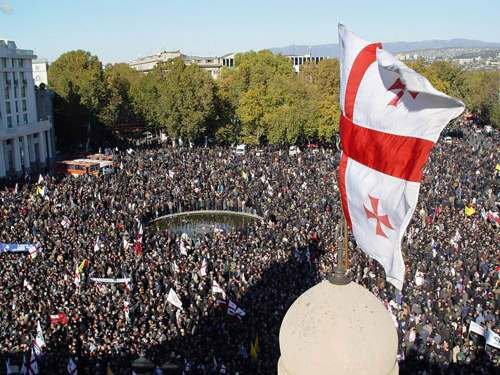 The protests ended with the resignations of Interior Minister Kakha Targamadze (the main pillar of support for the regime) and Parliamentary Speaker Zurab Zhvania. Practically from that moment in 2001 on, the regime was doomed. We already know the deadline for the Russian revolution: Spring 2012, i.e. the date of the presidential elections. It is hard to gauge whether Vladimir Putin understands the seriousness of the situation that has developed, but the fact that the talks so frequently about external meddling in Russia might be an indication that he has. How will things develop? We can sketch perhaps three plausible scenarios. The first is that the Russian authorities will manage to stabilise the situation at some point. However, it is difficult to see how such a state can last —political systems that do not allow for an electoral mechanism to change governments are in the modern day and age doomed to failure (and the longer the agony of the regime goes on for, the worse it will become for the country). The second route is an evolutionary transfer of power, most probably to a force from the political right: Prokhorov could be an appropriate candidate here. For the current elite, such an option could be considered ideal, since the alternatives to it are revolution and the total redistribution of property. This path would at the very least enable them to keep hold of their assets. And the third route is the path of classical revolution from below and/or acts of civil disobedience that will simply force the authorities out. Such a scenario no longer seems so far-fetched at all, owing to the emergence of a charismatic candidate for the post of revolutionary leader in Aleksey Navalny. Now when we speak of a classical revolution, we are not saying that it is necessarily a good thing. At the same time, talk about 'who else but Putin' is meaningless. The very same question - 'who else but Shevardnadze' - was asked in Georgia in 2001, but when Mikhail Saakashvili appeared on the scene, it was far from only his own supporters that backed him. When people were asked what would happen if 'Misha' did not live up to their hopes, their answer was simple: they would elect someone else, and if he wouldn't make way for someone else, then they would simply overthrow him too. One other argument in favour of a revolutionary turn of events is the enormous gap between the upper and lower levels of the Russian political elite. In a sign of clear weakness, the Russian authorities have begun to talk about political reforms. They have begun to talk about change and the inevitability of changes. Yet it is extremely difficult to believe in the ability of a stabilising regime to modernise itself, since any change strikes a blow against the system. With every concession the authorities make, society will demand even more, right up to the full dismantling of the system. No less importantly, the protest is already highly personalised and directed against the figure of Vladimir Putin. The revolution has already begun in Russia. How exactly it will turn out — only time will tell.